Tekspacular came to me for this graphic with the goal of finding an attractive cover image to use for the digital distribution of archival singles. The feeling needed to be retro with an emphasis on the classic 45rpm motif. What’s more, it needed to be something easily adapted to an array of color schemes. 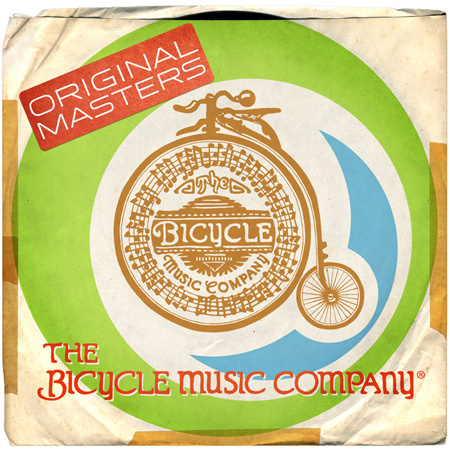 For the final run the distressed paper remained the same but the colored elements and bicycle logo changed color. The color scheme you see here was the first one and probably my favorite of the bunch.